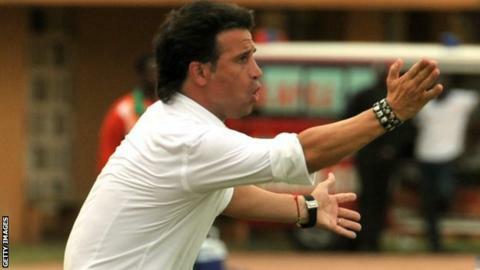 Portuguese coach Paulo Duarte has returned for a second spell in charge of the Burkina Faso national team. He replaces Gernot Rohr who returned home last week to work with the German football federation. Duarte, 46, was in charge of the Stallions between 2008 and 2012, during which time he lead them to two Africa Cup of Nations finals tournaments. Burkina Faso failed to get out of the group stages in both 2010 and 2012. During his first spell with Burkina Faso Duarte spent several months coaching both the Stallions and French club Le Mans, before being sacked by them in 2009. He then went onto coach Gabon from April 2012 until September the following year. His most recent job was with Tunisian club CS Sfaxien from April until August this year.